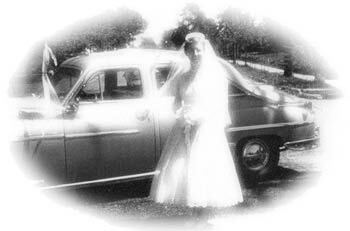 On June 1, 1957, my parents got married at St. Michael's Church. The woman in the picture is my mother on her wedding day. Less than a year later, their first child Jean was born and later baptized. From 1958 to 1970, my mother would be pregnant twelve times, three of which resulted in miscarriages. I am the seventh of her nine children, and the only one deaf. All of us grew up in Ironwood, Michigan. Inspired by Gerald Lauzon's photograph of St. Michael's Church being knocked down for the last time, ST. MICHAEL'S FALL is an autobiographical account of a boy growing up deaf, oral, and Catholic--and discovering the forbidden fruit of American Sign Language (ASL)--in a small mining town during the 1970s. Copyright © 2001 by Raymond Luczak. All rights reserved.